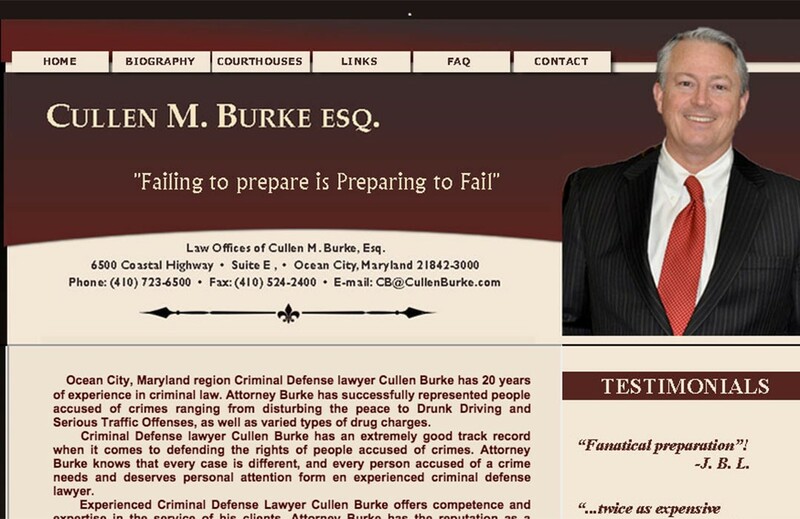 Ocean City, Maryland region Criminal Defense lawyer Cullen Burke has 20 years of experience in criminal law. Attorney Burke has successfully represented people accused of crimes ranging from disturbing the peace to Drunk Driving and Serious Traffic Offenses, as well as varied types of drug charges. Mr. Burke needed a website that would promote I’m but also aid his clients when trying to navigate the system. We set up professional looking site that did just that.